Do you like playing music? Do you love eating? Or you love doing both at the same time. 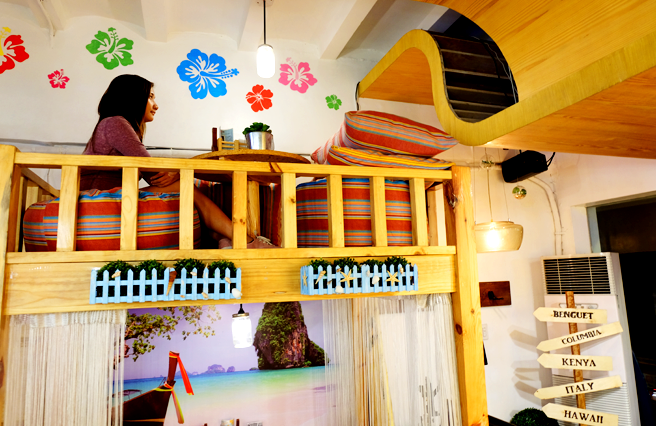 Well here’s one perfect place you can hang out on with your friends or family while fulfilling your desires, only at Uke Box Caffé in Eastwood Libis, Quezon City. 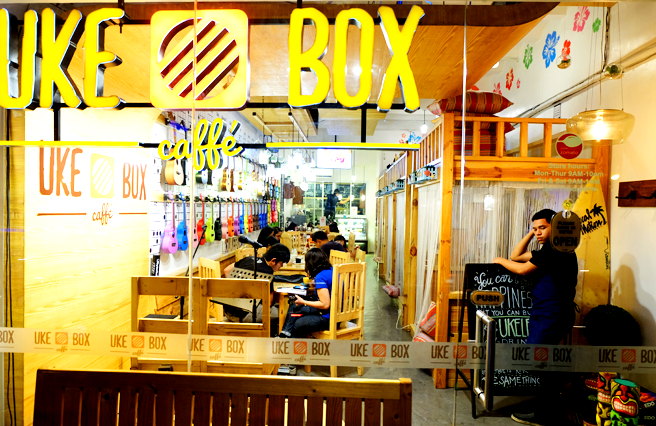 Uke Box Caffe is not your ordinary coffee shop or snack bar that you used to hang out, bond, or relax with colleagues. They added some twist on the place. Their main theme is 'Ukulele' (Instrument with 4 strings) where they actually got the name Uke Box. 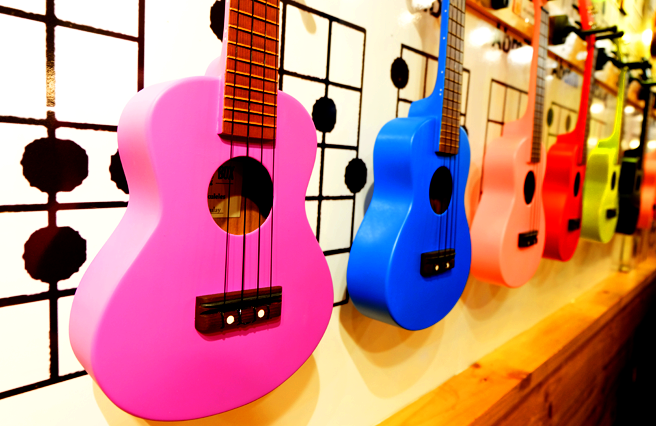 That’s why when you enter the place, you will see numerous ukuleles that are displayed on the wall. But these are not for display only, because you can buy those or rent it to play there. So if you’re really in the ukulele scene, you will surely love it here. But then if you don’t have any idea about this instrument just like me, it’s alright because they offer free workshops if you want to learn. They have an open mic too if you have the talent in singing. Or just seat, relax, and just enjoy live music while having good food. 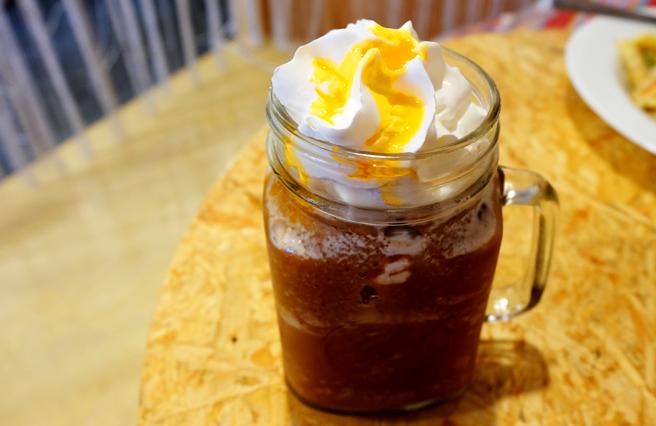 One of the owners of Uke is Apple Alegro, who is into this instrument and very passionate on both coffee and music, that’s how the idea comes up. The owners wanted to have a community for the uke fans to learn, share their talents or love of music while having a good cup of coffee. If you’re coming from North or South, take a bus going to Cubao. From there, walk towards Farmer’s Plaza and you will see the terminal of jeepneys. Now ride a Rosario Pasig bound jeepney and just tell the driver to drop you off at Eastwood. You will know that you have arrived when you see the Citibank Building. When you alight at Eastwood, walk and cross the other side to Village Center or the UCPB building and you would see at the 2nd floor the big sign of the Uke Box Cafe Place. 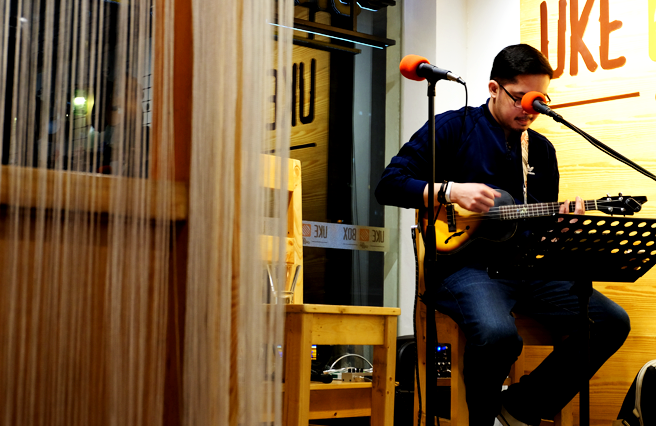 As I’ve said, the theme of Uke Box Cafe is Ukulele music. 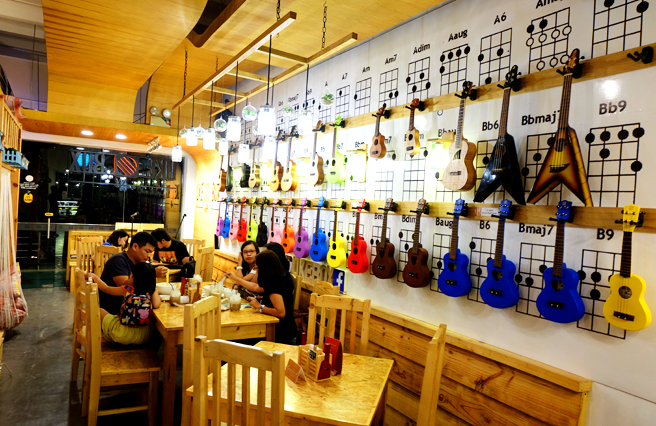 That’s why you would really feel the music ambience inside, especially there are colourful ukuleles hanging on the wall. 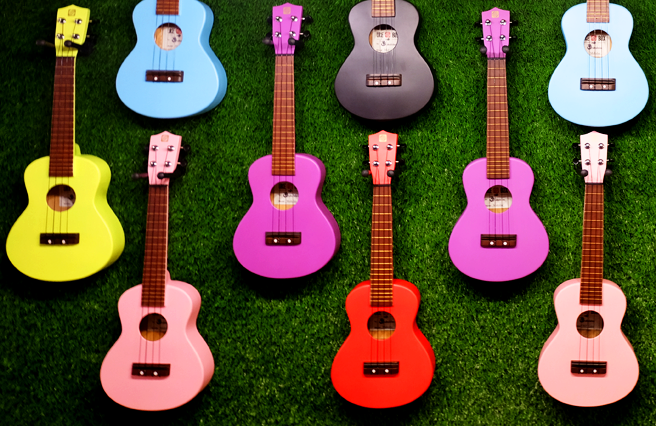 Their Ukes can be rented for Php100 per hour or you can also buy it for Php1900. I also love how they decorated the place. 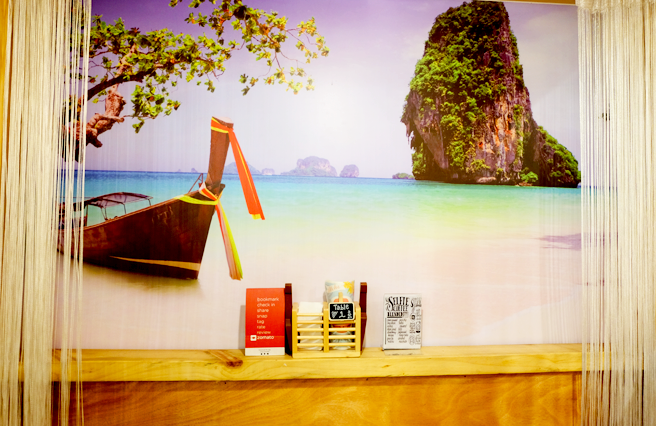 They have double decked couches which have a beach themed photo in the corner. This is the perfect place to chill with their comfy bean bags and pillows. It’s very relaxing and refreshing. 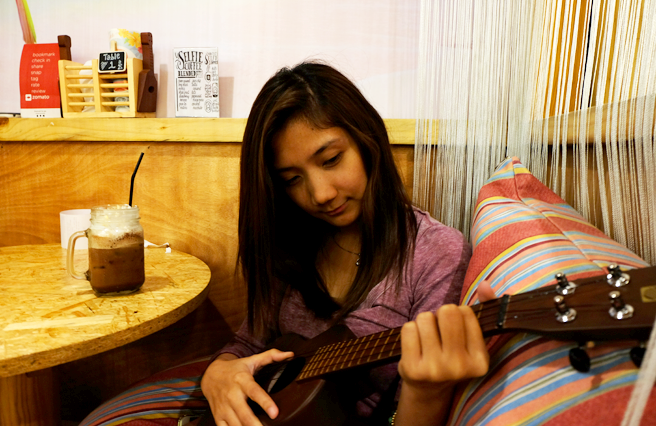 Feels like really on the beach area, while having a good music with your ukulele. 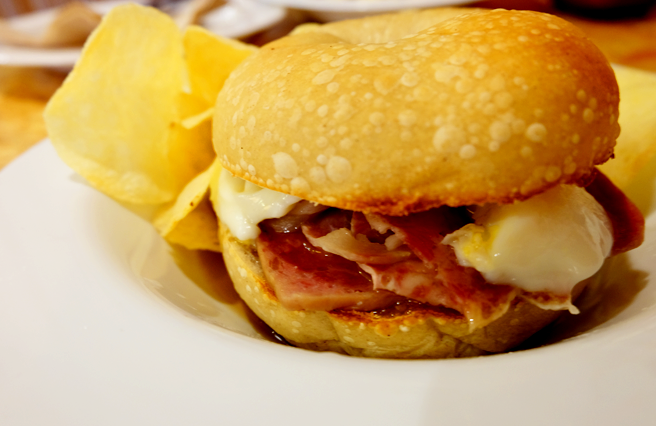 Aside from their beautiful concept, they also offer some good food. They are the ones who also brought the first ever selfie coffee in the Philippines. Haven’t tried it though. They have pasta, sandwiches, ramen, and breakfast meal. The food I tasted were okay. Nothing so special, but it’s good for what a typical cafe really served. Maybe it’s a little bit pricey for me. But I loved their dessert! The Ferrero cake (Ph210). I just didn’t get a picture of it. Because one of their specialties is coffee, they have bunch of coffees to offer. 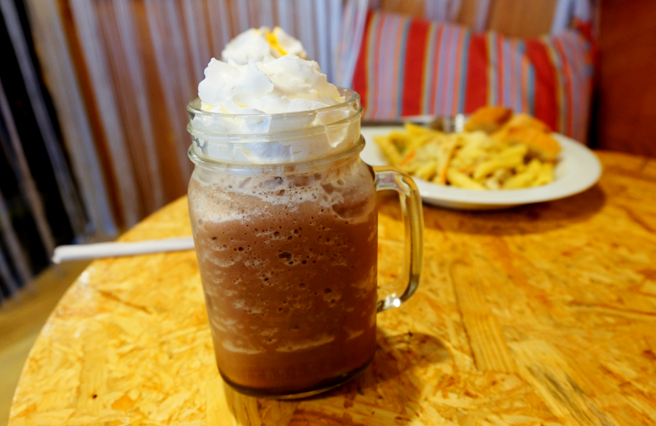 From their Brew bar which has various blends of flavors, the blended ones like Mocha and Peppermint Orange, House blend tea and chocolate, and Espresso bar. 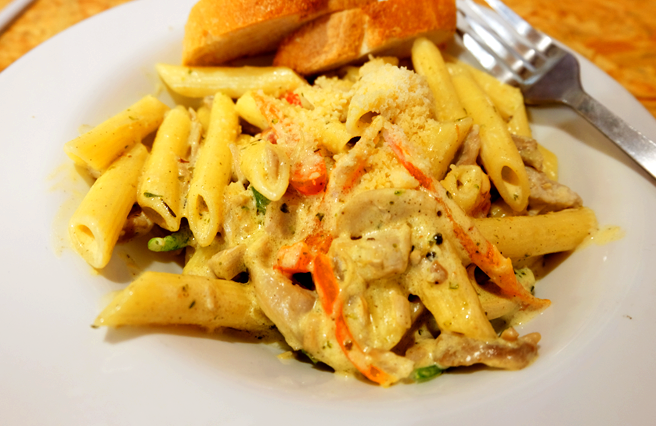 While having a good food, you will also enjoy live music. In weekends, there are regular local artists perform in the stage. And you can jam with them too. Luckily there was Mr. Tryron De Guzman, whom they call Teacher Try. He sings, plays the ukulele, and even teaches ukulele players wannabe. It was a fun night as you enjoy listening to his music with his great talent in ukulele, you can request also your favorite songs, sing with him, or share your talent in ukulele!